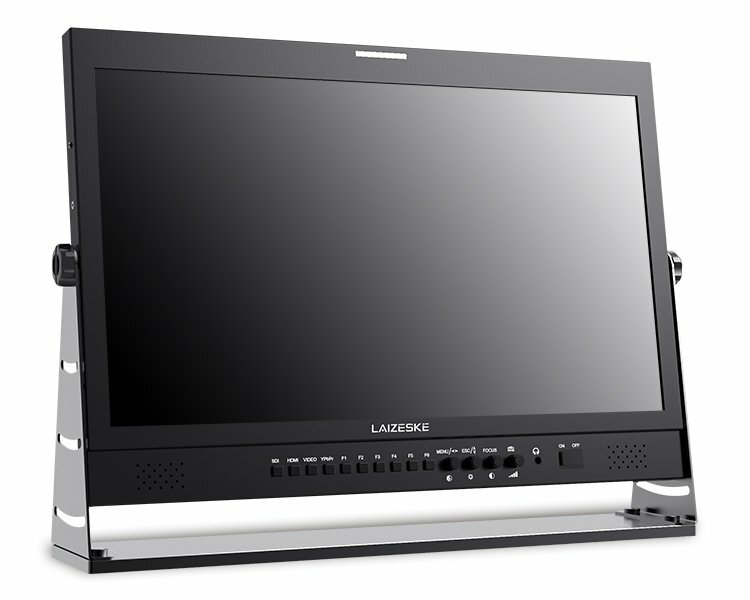 The DR215H 21.5″ Full HD IPS Desktop Broadcast Studio Monitor with HDMI from Laizeske is suitable for applications such as TV news, broadcasting, and production trucks. 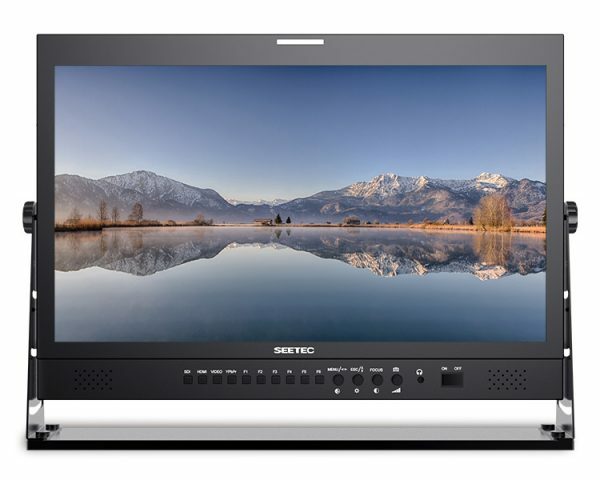 The monitor features an IPS LCD panel with 1920 x 1080 resolution and wide viewing angle of 178°, both horizontally and vertically. It features HDMI, component and composite video BNC, and audio L/R inputs, with HDMI, component, and composite video loop-through outputs. It also features a 3.5mm stereo headphone jack on the front panel, and a built-in speaker. The monitor features front and rear three-color (red, green, and yellow) tally lights, which are controlled via a DB-9 port on the rear panel. It comes with a V-mount battery plate for battery-mounting, and can be powered using the included adapter or through a standard 4-pin XLR connector.